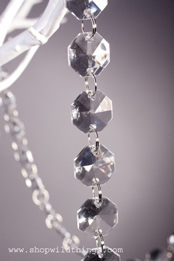 This Mirror Garland has approximately 132 Double Sided Mirrors per strand. We made them Extra Super Duper Long so that you can cut them where you'd like to. Need 6 Foot Long Strands? This one item will give you 5.5 pcs of 6 Foot Long Strands! Just use scissors to cut them where you'd like. 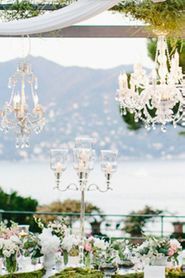 We think these would be AMAZING hanging from the ceiling in between floral garlands like our long orchids. Hang them from Floral Wreaths, or create an entire ceiling out of strands of mirrors! They are very lightweight and will move with the slightest breeze, creating a masterpiece of movement in your space. Our Mirror Garland Strand "Aries" is extra-long at 33' with an additional 3" loop on one end for out of the box instant Decor! The round discs are mirrored on both sides and alternate from 1 1/2" in diameter to 1" in diameter. 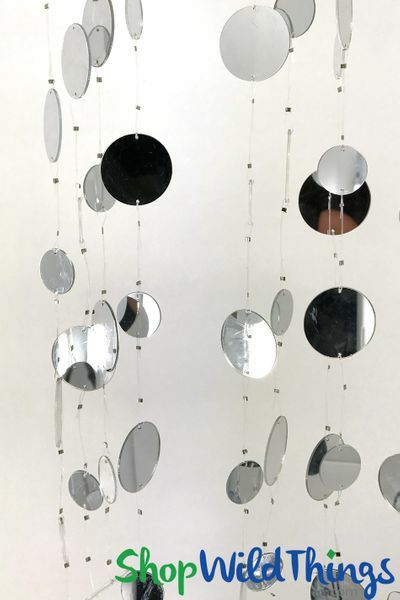 The mirrors are spaced 2" apart (Aquarius is spaced 1" apart) and each disc has pre-drilled holes on both ends and is strung with durable monofilament line. Create stunning wedding and event centerpieces by stringing through Decorative Trees or use to highlight a floral arrangement. Love, love these mirrors. Have them strung on my deck. When the sun hits them it creates a rainbow of different colors. Have had many compliments.